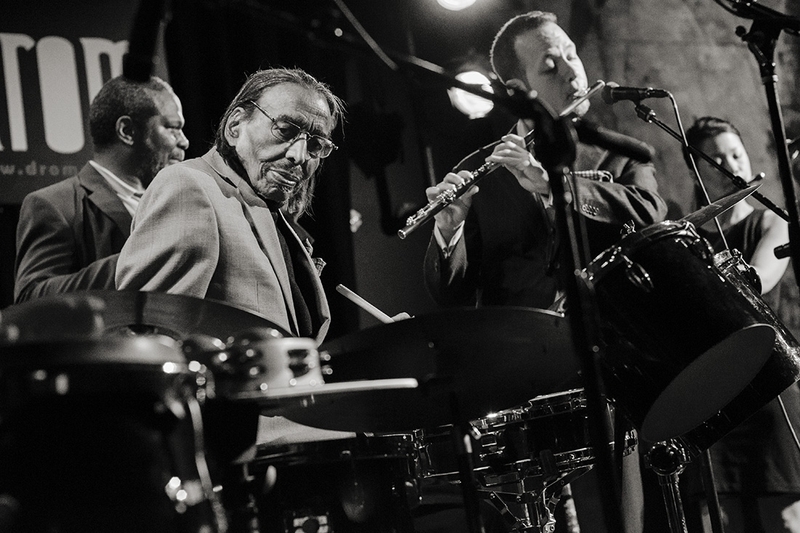 Joyous Shout: Chico Hamilton News Update! Foreststorn 'Chico' Hamilton, who died 11/25/13 @ the age of 92, has been saluted by the Kennedy Center as a "Living Jazz Legend", appointed to the President’s Council on the Arts, and this recipient of a NEA Jazz Master fellowship was considered one of the most important jazz artists and composers, creating vivid, positive, uplifting, engaging & relevant music until the end of his life. This past October Hamilton recorded newly composed material with his long-standing Euphoria ensemble, with Paul Ramsey on bass, Evan Schwam on flute, baritone, tenor, alto & soprano saxes, Jeremy Carlstedt on drums, Nick Demopolous on guitar & Mayu Saeki on flute, along with featured guest appearances from trombonist George Bohanon and fellow NEA Jazz Master trumpeter Jimmy Owens, for his "The Inquiring Mind" CD, out now. From "The Inquiring Mind" CD liner notes by Maxwell Chandler: "Chico occupies a rarefied place among few other artists. His musicianship is not just about virtuosity delivered via a now familiar voice but an organically occurring enmeshment with his art, the drums and other percussion being not merely his instrument but his voice, his ensemble(s) the canvas upon which he paints with his compositions. This album presents a catalyst for aurally induced reverie. A thousand thoughts, each a color which further paints a picture that is always compelling; emphasizing different aspects of itself with each listen. In the ultimate act of entrainment, our heartbeats echo the distant throb of the big bang. Now the universe sets its toes to tapping to the sound of the cymbals. Everyone is happy for the same reasons but each in their own way. Chico continues to keep time in rhythm and emotion". 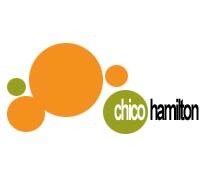 Always HIP and ever the consummate MODERNIST Foreststorn 'Chico' Hamilton invites his listeners to join him on a different journey on his Joyous Shout! 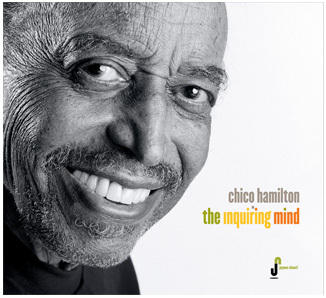 releases, each providing a unique perspective and exemplify what was Chico’s inherent timeliness, adventurous spirit, and the power synergy amongst his jazz consociates, illustrating why Chico was and is STILL THE MAN for EACH & EVERY GENERATION!! Join us for as the monthly concert series Euphoria Presents "Celebrating the Life & Music of Foreststorn 'Chico' Hamilton" continues on Sundays March 16th, April 27th, May 18th & June 22nd @ 7:15 PM @ DROM, 85 Avenue A (b/w 5th & 6th Streets) in the East Village, New York City, Tel 212.777.1157, www.dromNYC.com. Cover $12 advance, $15 day of show. Purchase "The Inquiring Mind" CD here!